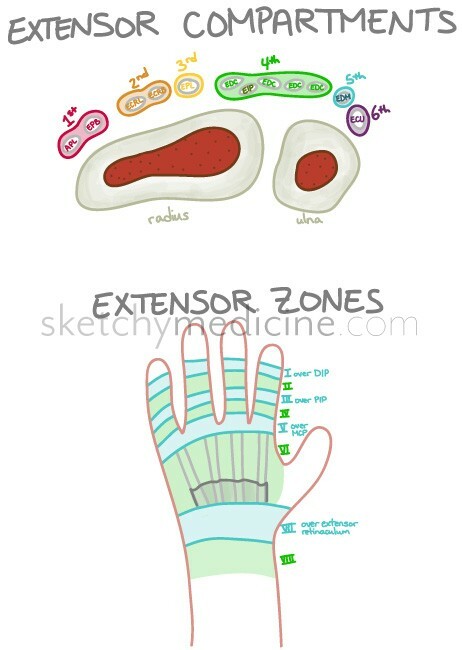 This entry was posted in Anatomy, Plastics and tagged hand exam, hands, MSK by Ali. Bookmark the permalink. great site. on this page i believe you mixed up insertions of ECRB and ECRL. Thank you! A little bit of a dyslexic moment, but it’s now been corrected. happy to have come across this site. Good work. Greatly appreciative of this. It’s a great resource for novices having to find their way around the compartments of the wrist.